Today was cloudy and quite rayless… well, from the sun anyway. 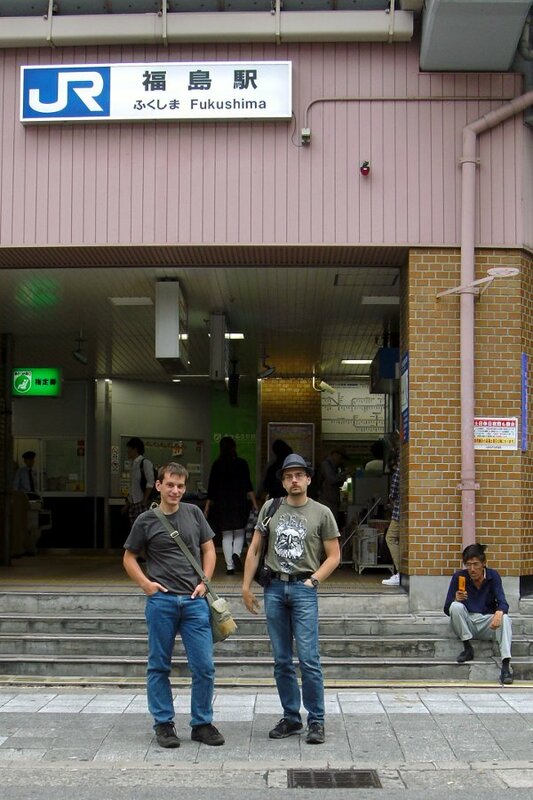 So, before we got to our main destination today, we made a brief stop in Fukushima. We used our short stay to look for a post office, where we could a) withdraw some cash (most bank ATMs do only accept Japanese cards) and b) send off a few postcards. 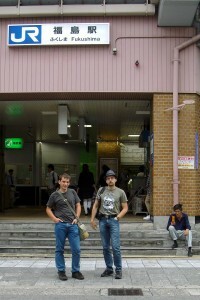 We knew there should be a post office near Umeda, but the map we had and the maps that were hanging around there were completely different. In fact, the maps in that area were also contradicting themselves. Something clearly messed this up. But thankfully there was another international bank, so we could at least get the money. Radiant with satisfaction we hopped onto the train again and headed for Nara. 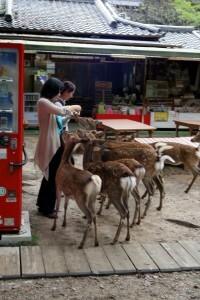 Nara has been the capitol of Japan a long time ago – today it’s mainly know for its shinto shrines and buddist temples, as well as the deer that roam freely around Nara Park to bug the tourists. 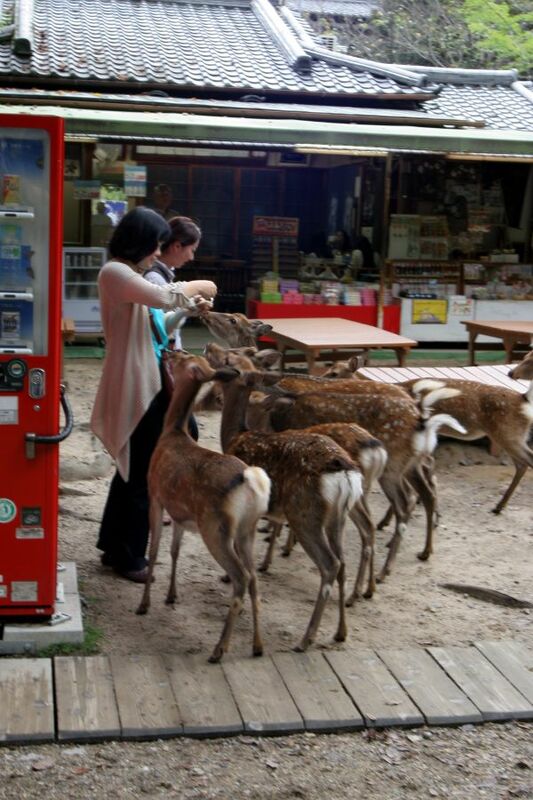 On the photo (shot in 2010) you can see a pack of deer cornering some innocent tourists at a vending machine to feed on them… or to be fed by them? I always mix that up, but in the end there will be blood, trust me on that. Nothing we want to show children. Since we saw all the important shrines and temples last time, we just briefly checked upon the area and explored more of the urban Nara (yes, also some caching attempts). Not being a main metropolis, it certainly has a quite nostalgic feeling to it, roaming the streets away from the main tourist ant trail. Unfortunately the bad weather didn’t stay in Osaka so it was quite cloudy, even earlier dark than usual and just could not entirely satisfy us, so we called it a day. Oh yeah, almost forgot to mention that Fukushima-ku is just a ward of Osaka – so it’s far away from Fukushima-ken (the prefecture), Fukushima-shi (the city) and especially from Fukushima Dai-Ichi NPP (the problem). We’re not THAT bonkers.